The On-Stage Stands WS8550 Heavy-Duty T-Stand is a rugged and stable stand that lets you adjust its height, width and depth. The T-Stand's flexible dimensions allow you to securely place large-format keyboards, mixers, DJ coffins, and speakers on it with no little fear of it falling over. Portable and heavy-duty, the WS8550 stand has everything you need for home recording, project studio work, or gigging out. The entire stand folds to a compact "T"-shape for easy storage and transport. 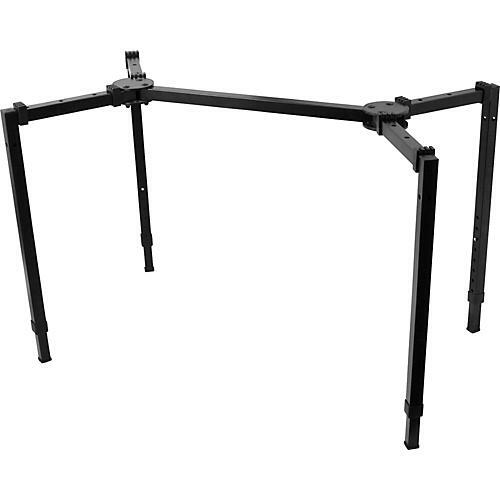 Folding stand for large-format keyboards, mixers, racks, DJ coffins and speakers.